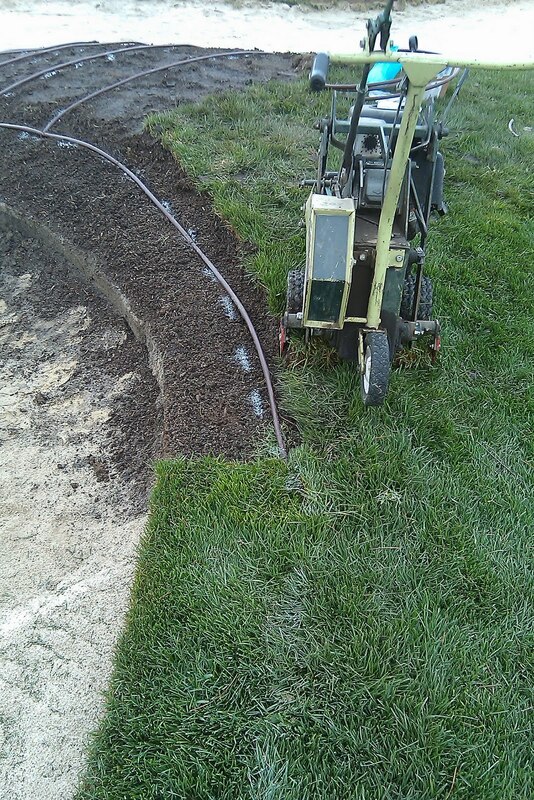 was fairly quick and easy. 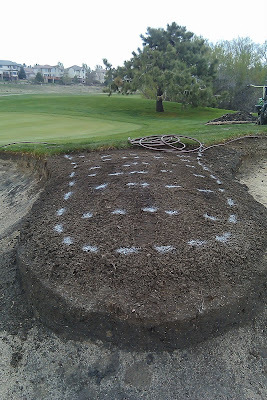 Once this project is completed it should eliminate hand watering on these problem bunker noses and edges, saving us labor and water dollars. 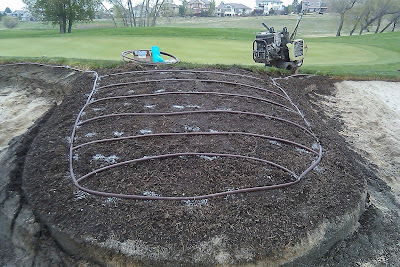 The entire project for 300 foot of subsurface drip irrigation only took 16 man hours and a low cost of $200. 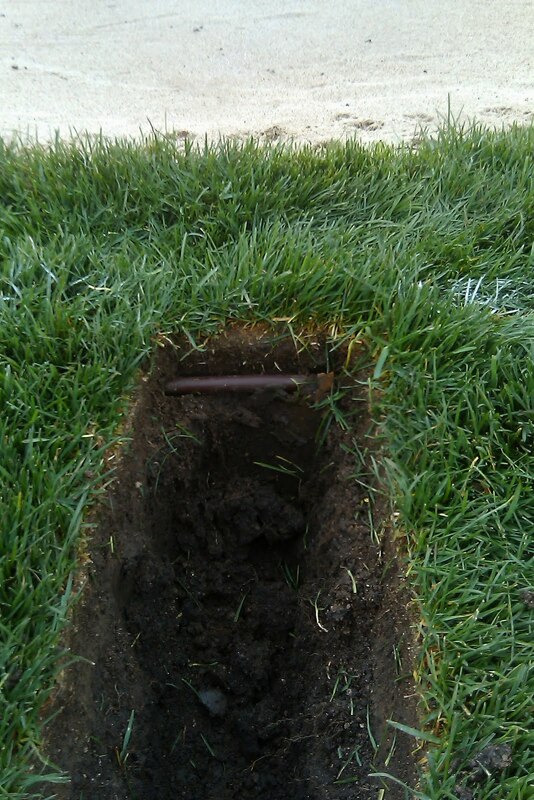 The drip pipe is installed anywhere from 8 to 12 inches from the edge depending on the slope of the bunker and the spacing on the ladder of the bunker nose is 12 inches. 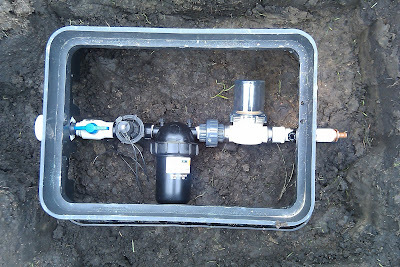 This spacing can change however it depends on the GPH and PSI of the drip pipe. 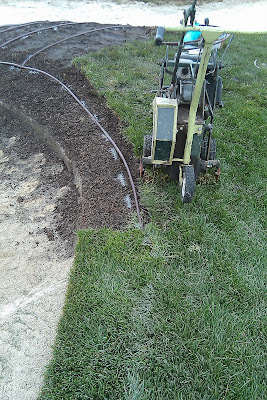 The pipe also averages 2-3 inch depth just below the sod cutter at its deepest setting. 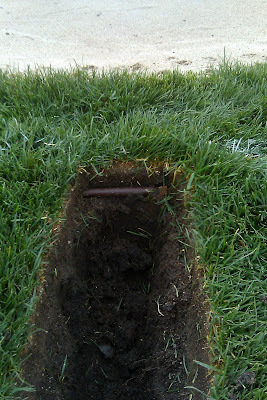 The drip pipe can also be installed just below the sod line or up to 4 inches deep.